The fans of the highly polished creepy games will appreciate the work invested into Hallowed Legends: Samhain. 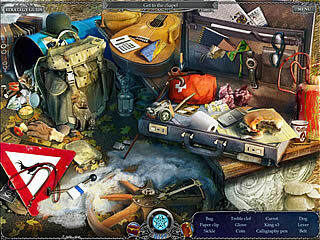 This hidden object/adventure kind of game makes a perfect blend of the two parts of the quest. You are to find out where did the people at the celtic festival disappear. You are introduced a little bit to the story in the very beginning, but you still get more of it as you proceed in the game. You set to help your friend who got into trouble dealing with some mysterious cases. You are to find out where did the people at the celtic festival disappear. You will soon realize that you are going to deal with some demonic powers here. The game creates a perfect atmosphere of place where you wouldn't want to be. So you've got a typical kit of tasks for a game of this genre. A little bit of hidden object scenes, a little bit of intentory searching and also some mini-games are all you need to kill a few hours. The hidden object scenes are very gamers respecting. And what I mean by that is that all the stuff that you can find there is not out of place, but rather fits in perfectly. The same is with the searching of the inventory. You get to go back and forth to find and get something to help you out in some other place. 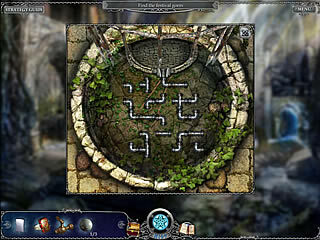 The mini-games look like a vary natural part of the general quest. Some of them are very classic like tile swapping ones, while others are more challenging and take some thinking in order to be solved. Or you can just skip them. The graphics are not the best that you ever saw in the games of this genre, but they are quite decent and satisfying. One of the most impressive parts was the creature with the horns at the very start of the game. The game looks and plays very well. I wish it would also be voiced over, but the scarry sounds are ok too. 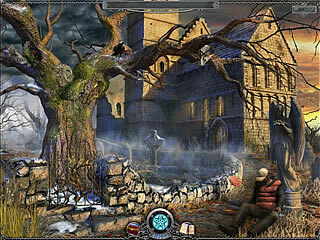 This is Hallowed Legends: Samhain review. Download this game here.